Aerospace is one of the best effort in science and engineering that has been achieved by various activities including research, design, manufacturing, operation and maintenance of aircraft or spacecraft. Modern aerospace has achieved many upgrades with the latest technology that includes both aeronautics and astronautics. Most of the aerospace companies have been established in India and are aiming to develop new aerospace technologies with strong science content and designs of which most of them run under government sector. Following are the list of best aviation companies in India that are contributing to the growth of civil aviation sector. 5. Electronic Corporation of India Ltd: ECIL is a government owned company that was established in the year 1967 by Dr. A.S. Rao at Hyderabad. It is a multidisciplinary organization that deals with wide range of categories with main focus on Nuclear energy, space and Defense sectors along with Electronic Security, Information & Broadcasting, Telecommunications, Insurance, Banking, Police, and Para-Military Forces .Company aims to establish newer technology products that are needed for the peaceful uses of the Country that include products for nuclear power plants, radiation monitoring instruments, fuses, Electronics warfare systems, Thermal batteries and special components for missile projects, jammers and many more. 4. Boeing International Corporation India Pvt. Ltd: It is one of the world’s largest aerospace companies in India that is focused on creating sustainable value in the Indian aerospace sector. It is an American based company headquartered in Chicago, United States and had presence in India. In 2009 Boeing even launched a research organization and technology center in Bangalore. It deals with the commercial airplanes and defense space security services in India along with satellites, weapons, electronic and defense systems, commercial and military aircraft, advanced information and communication systems, launch systems & performance-based logistics and training. 3. 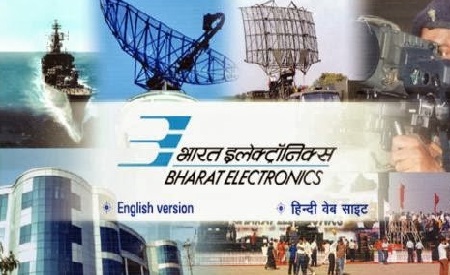 Bharat Electronics Ltd: It was established in 1954 and owned by Government of Karnataka. It is one of the top most companies that holds 9 factories and few regional offices across India. It deals with Radars like BEL weapon locating radar, BEL Battle Field Surveillance Radar, Indian Doppler Radar, Samyukta Electronic Warfare System, 3D-CAR along with Missciles, Sonars, Solar systems, Naval Systems, Defence Communication, Electronic Warfare, Telecommunication and Broadcasting, Opto Electronics, Electronic Components and Tank Electronics. It is an ISO 9001/2 and ISO 14000 certified company and produces best quality products. 2. BrahMos Aerospace Private Ltd: It was established in 1998 and it is a joint venture between the Defence Research and Development Organization of India and the Federal State Unitary Enterprise NPO Mashinostroyenia of Russia. It is the market leader by providing the best quality products in a cost effective manner. It is involved in designing, development and production of BRAHMOS-supersonic cruise missile which is used in various platforms which includes silos, ships, mobile launchers, submarines and aircrafts against sea and land targets. Company currently at an advanced stage also trying to develop new techniques for air launched weapon system, submarine weapon system, land based and ship based weapon system. Address: Brahmos Complex, Near Drdl Gate, Knch Bagh, Koti Main Rd, Goutam Nagar, Badi Chowdi, Kachiguda, Hyderabad, AP-500095. 1.Hindustan Aeronautics Ltd: It is a government owned company that runs under the management of Indian Ministry of Defence. It was established in the year 1940 and was known to be one of the Asia’s largest aerospace companies that deal with manufacturing and assembling aircraft, navigation and related communication equipment, as well as operating airports. It consists of 19 production units and 9 research and design centers in 7 different locations in India. Its products include aircrafts of Russian origin, aircrafts of Western origin, helicopters, communication/navigation equipment, advanced communication equipment, accessories for aircraft, aero engines and helicopters, aerospace equipment, aero engines of Russian origin and aero engines of western origin. HAL has collaboration with the different international and domestic aerospace agencies and offer best quality products. Address: HAL Corporate Office, 15/1 Cubbon Road, Bangalore-560 001, India.